Today is Wednesday, and the blog and podcast will be posted before my head hits the pillow tonight, Arizona time. We have been somewhat delayed here at a very nice KOA by a very huge winter storm system known as Cleon. 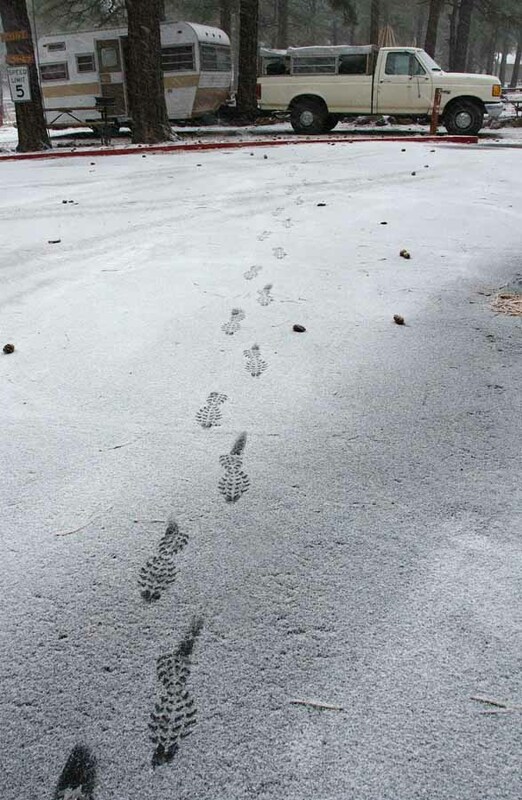 When I went into the warm KOA building for my shower, the storm had not hit, and when I came out, everything is covered with snow and getting deeper. I once knew a man whose expertise was studying city systems. I guess this Flagstaff city system is functional, because very shortly after the snow struck the neighboring highway, fire truck began to clear the streets of stuck and/or collided cars. All the systems are connected. A system is a group of processes that function together to generate a thing that otherwise wouldn’t exist. Las Vegas, for example, is a system. So is a car. Systems require energy to do work. Energy cannot be recycled. The energy is gone away forever, mostly in the form of heat, and must be replaced. So cities require inputs of food energy and other kinds of energy to keep going. Cities also require inputs of other materials that can be recycled, especially water. And they require to get rid of waste products. Waste products of a city include sewage and smog and left-over materials.that the city throws away, into the air or into the water or a dump site or sometimes recycles. The many processes involved, and many others, make up the system of a city. Boulder Dam is a subsystem of the city of Las Vegas, it was built because otherwise there could be no city of Las Vegas as it is today. Boulder Dam provides energy and water for the system that is Las Vegas. The Ecosystem of Boulder City and Las Vegas, including Boulder Dam and many other subsystems was changed dramatically by the building of this dam, because the dam system itself changed both the inputs and the outputs of both the city system and the Biosystem of the region. 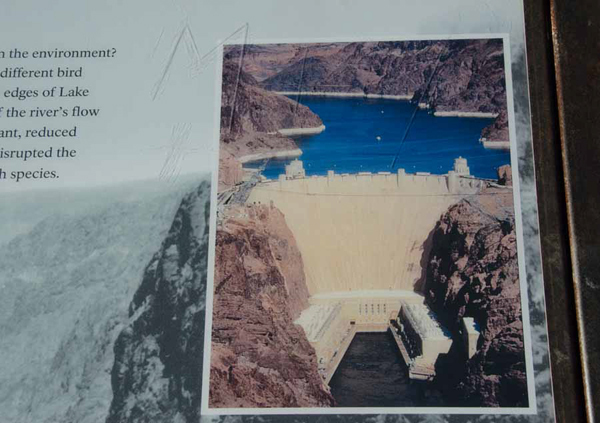 There is a sign posted above Boulder Dam that briefly discusses the impact of the dam on the local Biosystem. It’s not possible to have a change in the city system without also changing the Biosystem. An organism, human, plant, animal or micro-organism, is a system not much different in principle from a city in the way it requires energy and materials. The body uses subsystems (digestive system, etc) to break apart the food, capture the energy to do the work of being alive, and release the waste materials into the air by breathing out carbon dioxide and dissolving other materials in water and urinating them into the ground or the toilet or the city sewage subsystem. 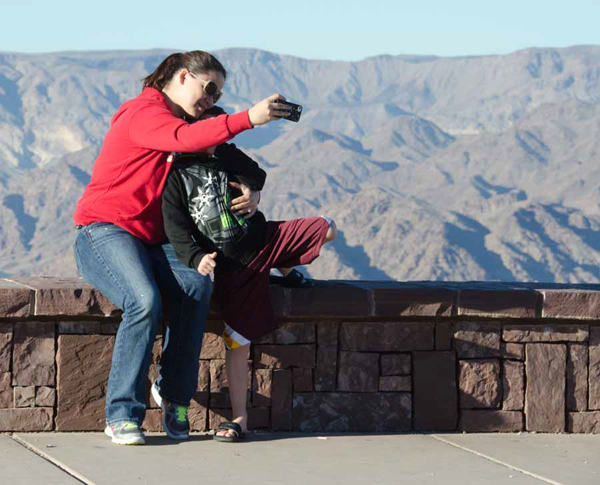 It amused me to take a picture of this woman and her child (all three of us are organism systems), taking a picture of themselves, inside the system of Boulder Dam that is inside the whole Biosystem of the world. Their system has more than physical inputs and outputs. They also have a mental view of their world that is a logical system and includes love and fun, and it overflowed onto me. The belief systems of humans probably function to support our social systems. 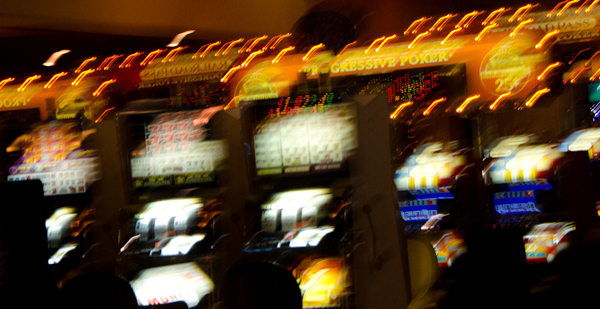 If our belief systems do NOT affirm and support the physical Biosystem that provides the energy of life to ALL biological systems then – no matter how logical they are for understanding Las Vegas, for example, they will not sustainably help human systems to achieve the inputs of energy and materials that are required for our survival and get rid of our waste products, because those inputs and outflows can ONLY be obtained from the Earth Biosystem. 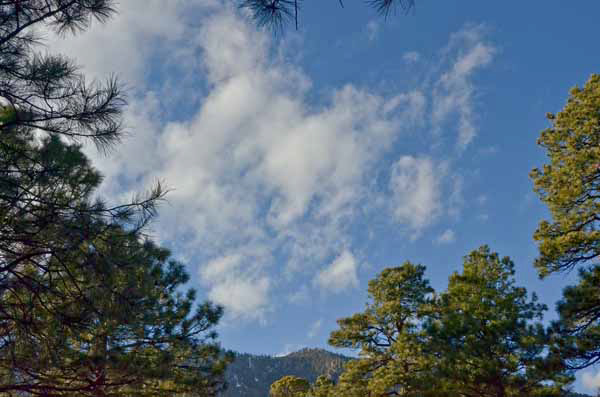 I remember when the designated wildlands were the forests that I have just driven through – the community systems of tall pines of Lassen, the Redwoods of the coast range, the mixed forest of cedars and pines and golden Aspen in my canyon, but we have mostly cut down the forests, and it is those other systems, the subsystems of our great Biosystem, that provide everything we humans need to stay alive. So I have a challenge for you to think about. Why not spend one whole day considering everything you touch or see or hear – how are you a part of its system? Or perhaps it is a subsystem of you. Or if you prefer, examine your philosophical system. I know it’s logical because people are made to have logical belief systems. But the real survival question is, how does your belief system affirm and support the physical Biosystem that provides the energy and materials for your own life system.